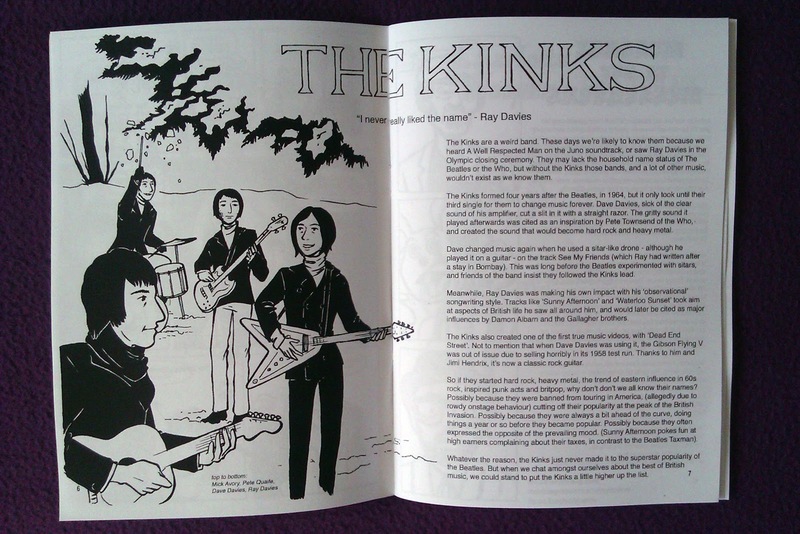 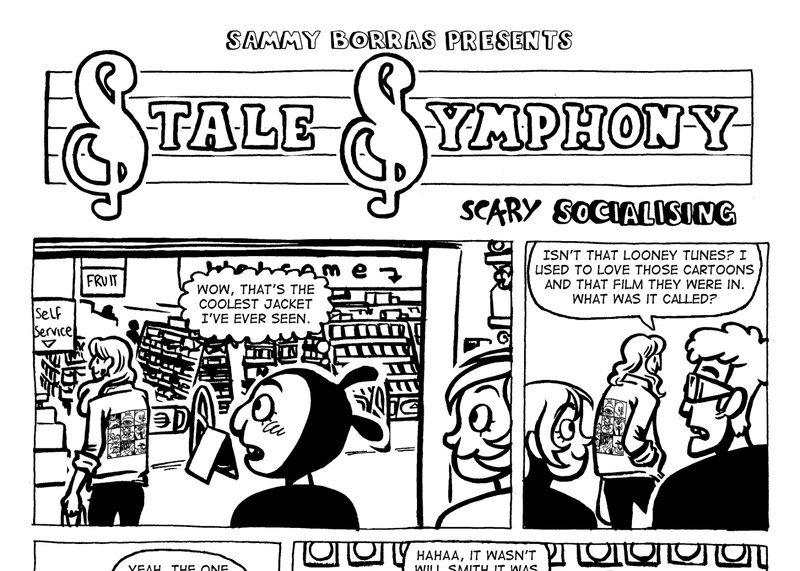 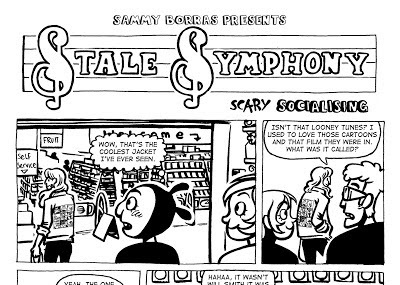 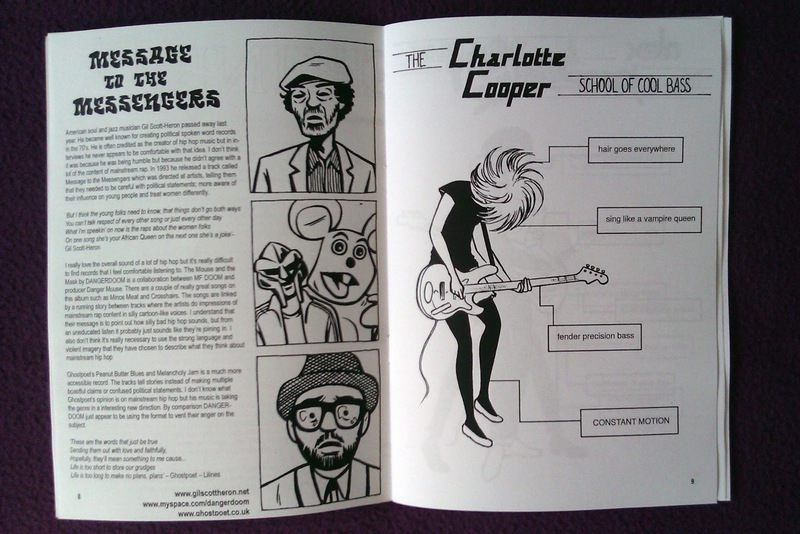 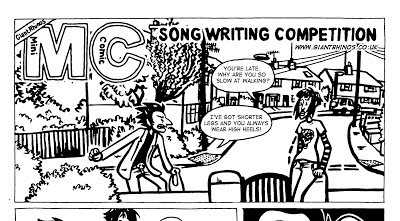 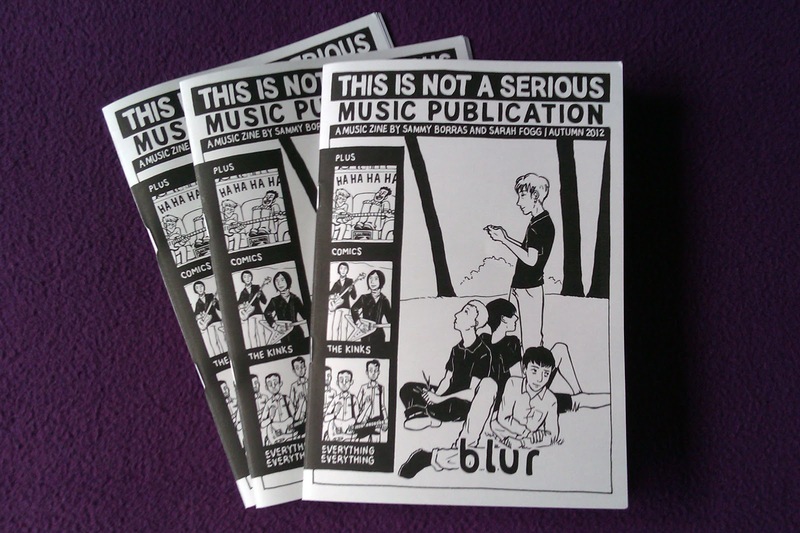 Sarah and I have been having fun making our own music zine. It contains articles, illustrations and comics featuring Blur, The Kinks, Everything Everything, Peace, Gorillaz, De La Soul, Little Dragon, Helen Arney, Bellatrix, Gil Scott-Heron, Ghostpoet, DANGER DOOM, The Subways, The Clash, Elastica, Phillipa Hannah, The Unthanks and Young Knives. 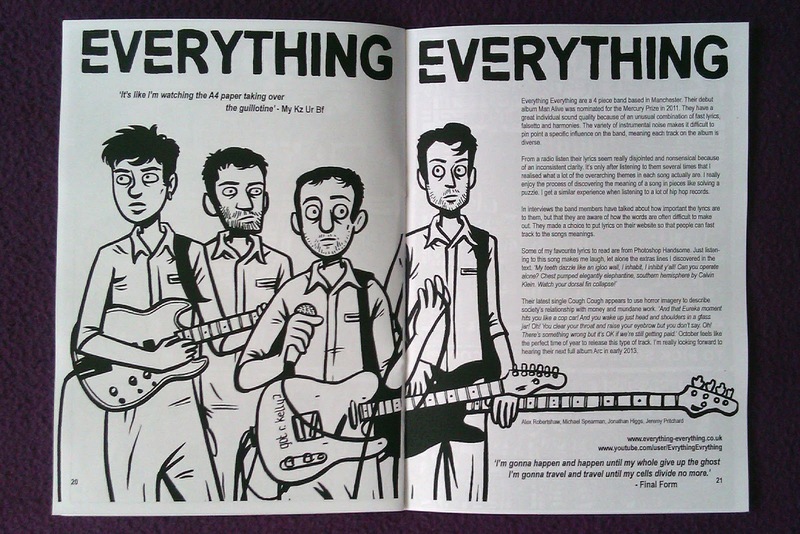 We're realising it tomorrow at the Birmingham Zine Fair and it's available to buy through my etsy shop. 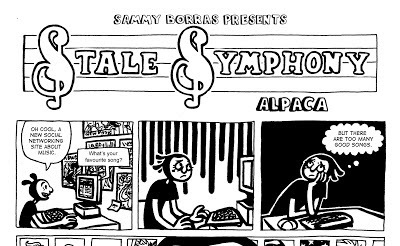 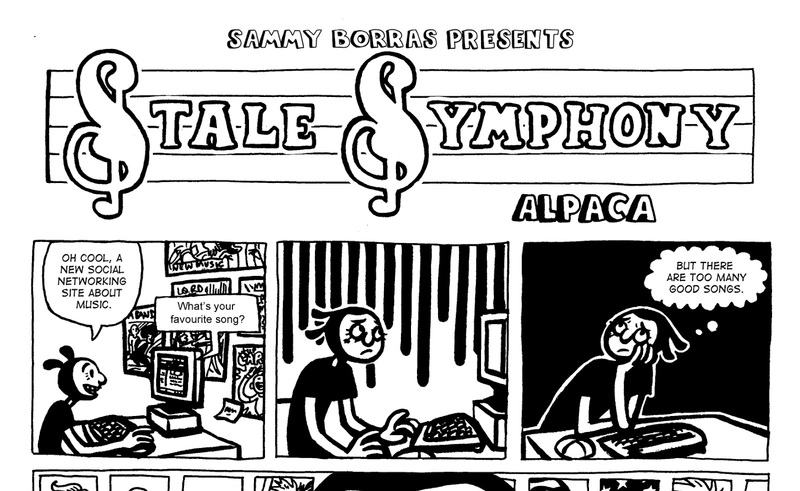 The music also has a Stale Symphony comic which features a new character, Al the Alpaca! 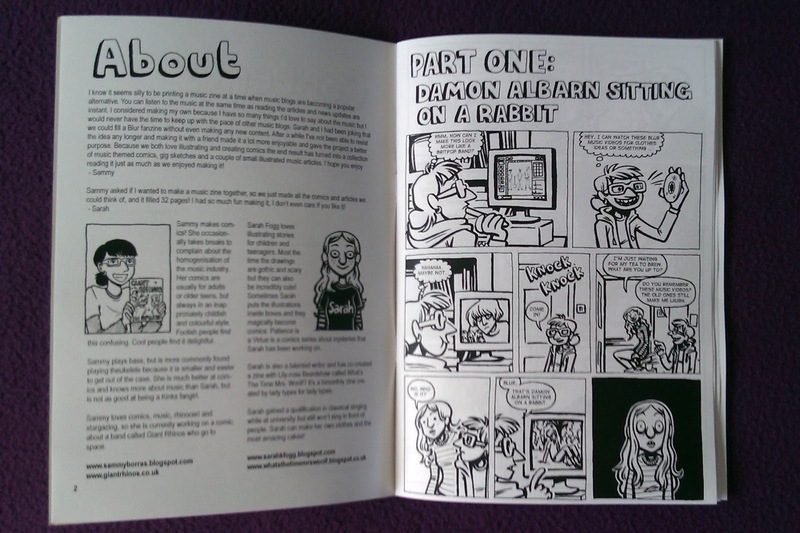 Sarah and Lily are also releasing What's The Time Mrs. Woolf Issue 6 at the zine fair! 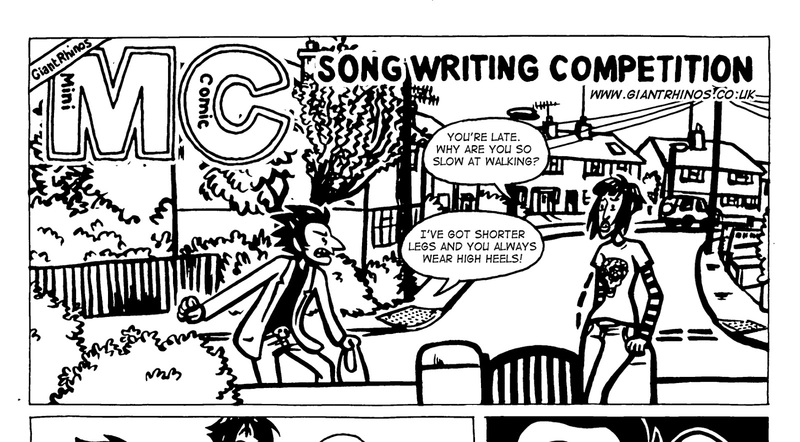 For a detailed preview of visit their blog.